Thanks to a wonderful experience at yesterday’s 8th Annual Luxury Chocolate Salon in Pasadena, I learned something new about myself. What I learned there has nothing to do with eating chocolate. 1. I’ve learned that genuinely complimenting people makes me feel happy. This sounds like a no-brainer to do and yet I have to make a conscious effort to give compliments to people that I encounter most often, even when I find myself silently admiring something about them. I enjoy being around happy people– who doesn’t? People naturally tend to feel good about themselves after receiving a genuine compliment. I’ll try to do this more. 2. I’ve learned that I like Earl Grey. Never realized that before this week. I’m not a coffee person, and for the longest time I only drank tea that tended to be on the sweet side (before addition of any sweetener). I chose ones with herbal sounding names and fruity aromas. Earl Grey is supposedly citrus-based but it was never a dominant flavor in previous cups I’ve tried. At some point, I tried and enjoyed a cookie that was made with ground Earl Grey tea. Pretty tasty. Later tried an Earl Grey infused muffins. Also delightful. Last year was my first taste of Earl Grey infused pie, which quickly became my favorite flavor of pie that I am not inclined to make myself. Yesterday I tasted Earl Grey infused chocolate and then it hit me. I am a fan of Earl Grey. And I suppose most tea-infused treats. 3. I’ve learned that I’m borderline mysophobic. I valiantly tried to disprove that in my efforts to be social yesterday. Now I’ve got a scratchy throat and I’m sitting here bemoaning my life choices over the last 24 hours and gnawing on my single luxury purchase of a deliciously smooth spicy chocolate bar. It’s all good. Tonight I’ll try to enjoy my fond memories of the weekend. There will be plenty of time tomorrow to regret that I don’t have any throat spray. And to eat more dark chocolate. Have you learned something new about yourself in September? Let me know in a comment! Turns out there’s a livestream of Tuesday’s SMCLA noon panel. If you missed it live, you can watch it now… or later. For those attending Social Media Week LA either in person or online via livestream, here are my top event picks for the rest of the week. Trisha Hershberger, Host on SourceFed (Streamy Award Winner Series of the Year 2013), will present on video producing via Nokia Lumia and Microsoft. Jason Okuma, Founder and CEO of JATI, Inc. and VP of Business Development at PMBC Group, will teach you how he runs his business and blogs on the go using his Lumia. This is your chance to tour of some of the hottest LA Tech companies located in Santa Monica. Why not stop by for a beverage, snack, game, drop off a resume, to see the office space or just kick back? Monica will discuss how her Nokia Lumia enables her to blog and produce content while on the go. She’ll focus on OneNote, OneDrive, Instagram and Fitbit. 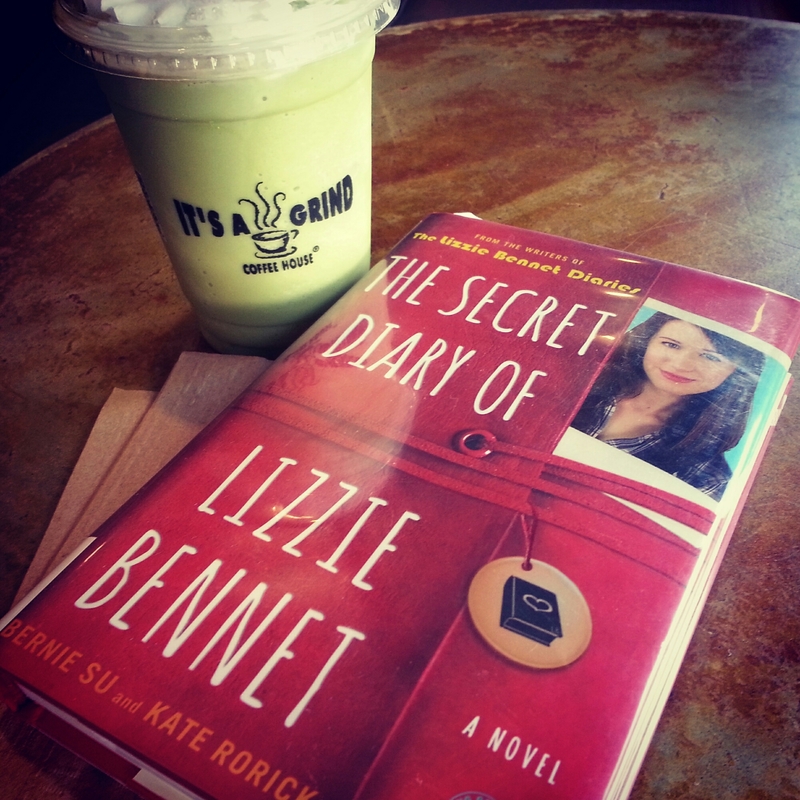 I am reading The Secret Diary of Lizzie Bennet by Bernie Su and Kate Rorick. What are you reading? Update: This was originally posted from my phone and the book title was auto-corrected without my awareness. Oh, auto-correct. What am I to do with you?